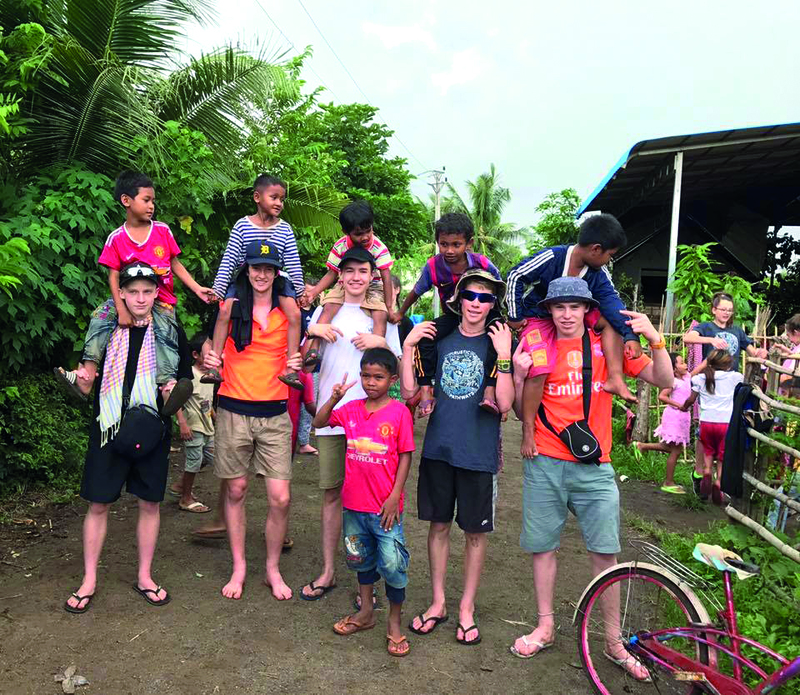 Since 2012, Year 9 Cornish College students have had the opportunity and privilege to work with a variety of remote communities in Thailand, Laos and Cambodia through our Make A Difference Experience (MADE) program. So far they have funded and built classrooms, built kitchens and drying rooms needed in a tropical climate, installed water tanks, funded three students to attend school with the view to continuing at university, and more. “I feel the Year 9 MADE trip has given me a greater appreciation of what I have access to and also a broader outlook on what happens in other countries and how people live,” said now Year 10 student Niall of the experience. The MADE program aligns with our motto at Cornish College: “Make a Difference.” The experience also helps to encourage confident and knowledgeable young people who are well-prepared to take on the challenges of the senior years. As students move into the Senior School, Years 10 to 12, they continue to embrace opportunities to make a difference. The inaugural student trip to East Timor will kick off in 2019, focused on cultural immersion and a partnership with a local school providing an English language program and taking positive action. Students enjoy the opportunities to be ambassadors for their school and grow in confidence and self-awareness through confronting challenges beyond their familiar environment. They develop a global outlook as they grow to appreciate their own and a different culture.